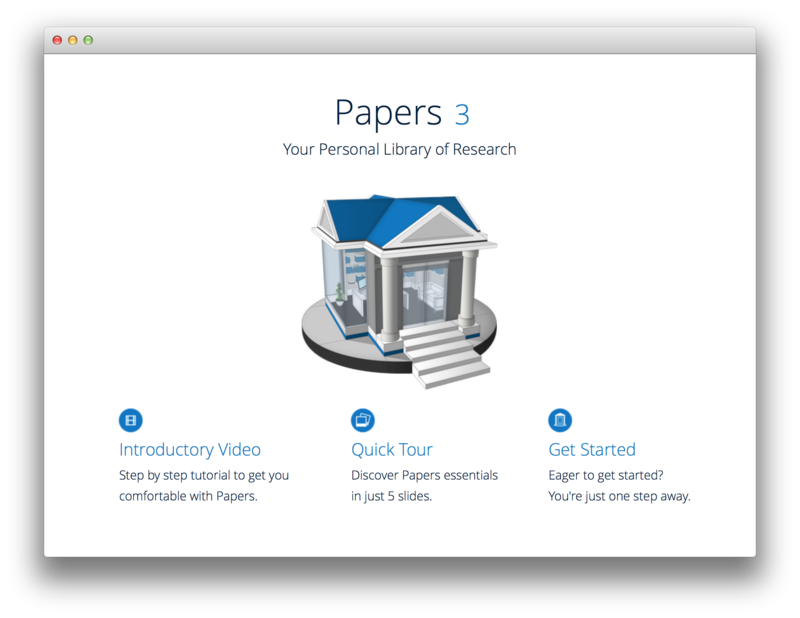 Start Papers and select 'Get Started' to continue. 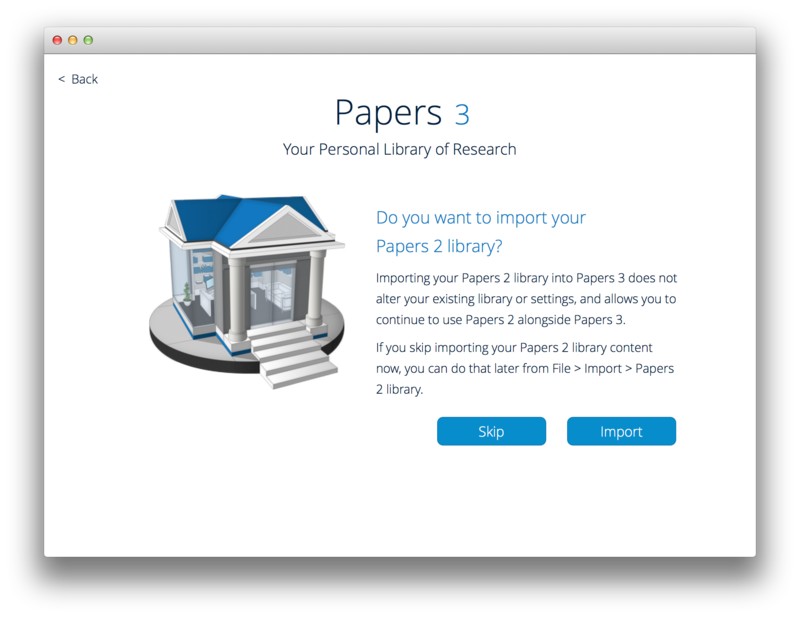 If you are a Papers2 user you can import your Papers2 library to Papers 3. If you don't have a Papers2 library, select 'Skip' to continue. 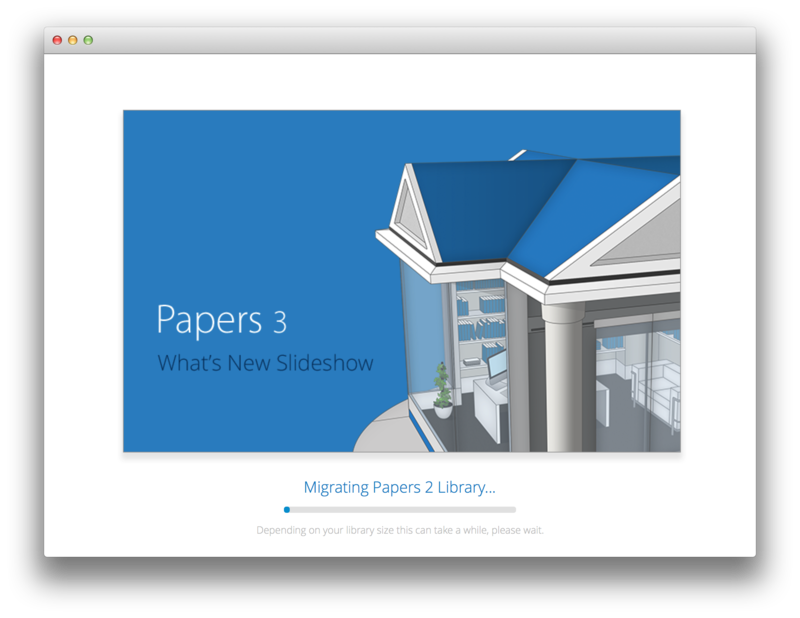 If you have a Papers2 library that you would like to import to Papers3 select 'Import' Papers will proceed in migrating your library. However, don't worry if you don't want to do it straight away, you can always import you Papers2 library later on. 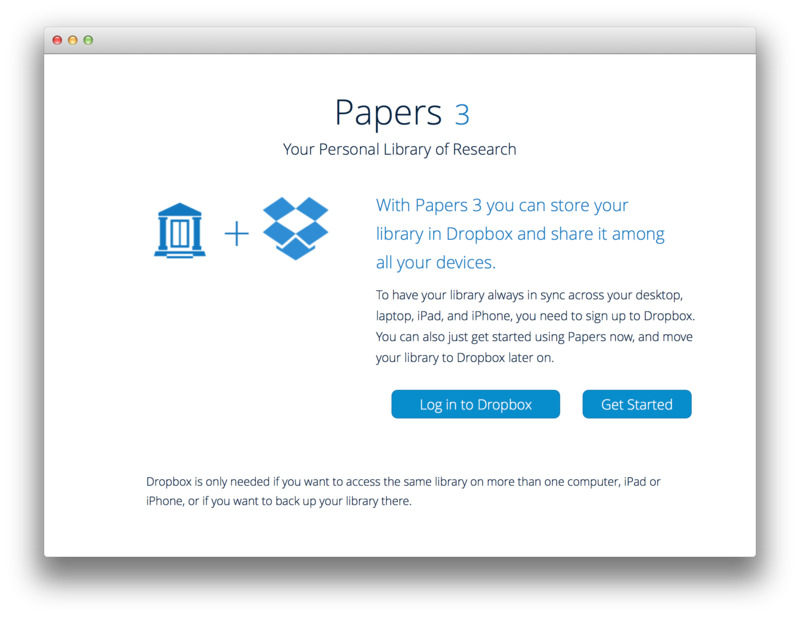 At the next step you can choose to store your Papers library in Dropbox so that you can sync your library with another computer or with Papers 3 for iOS. 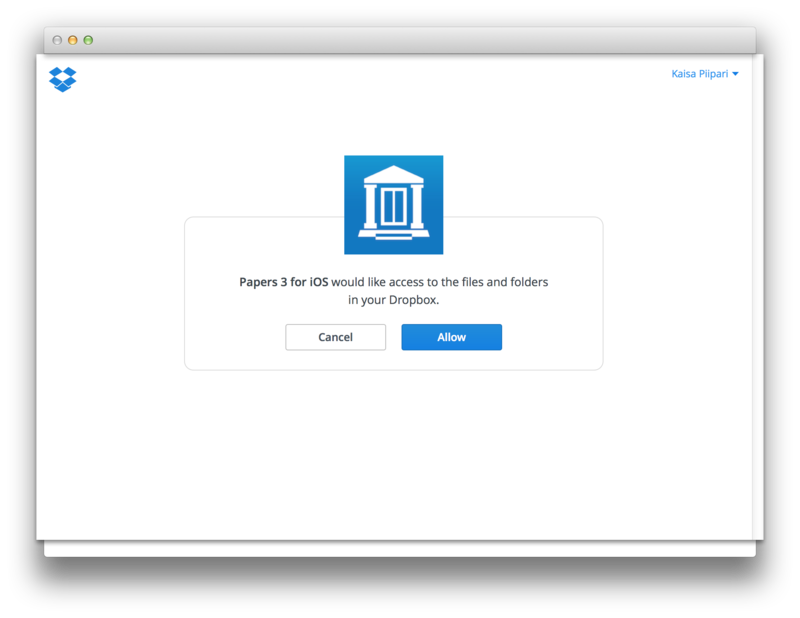 You can also do this later and just click 'Get Started' and the main Papers library is opened.